Before reading, it should be noted that these are all speculative theories, which require further research. The only reference to the Greek word for “Sphinx” comes from the Egyptians “Shesep Ankh”. It’s possible the Greeks may have gotten the word Sphinx from the word “Ankh”. Furthermore, since Hebrew is also branched from Khemet we can see a correlation between both languages. The Greek language is also Semitic in origin, coming from the Phoenician’s and Chaldean’s. When breaking down the word “Ankh” or “NK” (minus the A and H), one needs to look deep into the Etymology for some interesting clues. Moreover, the word Ankh is present in some of the words still being used today, with a few modification that the Greeks made. For example, changing the “A” to an “E”, keeping the “N”, and changing the “KH” to a “G”, creating “Eng”. This is where we get words like “English”, which comes from “Ankhlish”, and “Angle”, or “Angel”. Interestingly, according to the Bible, Angels are messengers, which I find intriguing because “Ankh” means “Life”, or “Messenger of Life”. It is plausible the word Sphinx came from the word Ankh or Spankh, by simply adding the prefix “S” and changing the “KH” to an “X”. 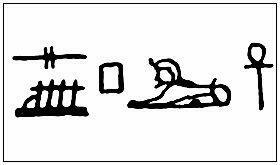 Through researching the Glyph for “Shesep Ankh” you’ll be able to see the Hieroglyph Ankh next to the Sphinx Symbol. Since the Ancient Khemetians spoke using Vowels, as did the Hebrews, it would be “Sphnkh”, “SPNK”, or “SPHNX”. 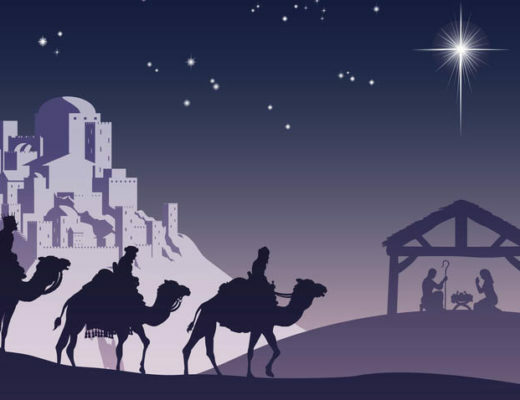 Now the Hebrew word “Anosh” or “Ansh”, which means “Man”, may have come from the Egyptian Ankh as well. Interestingly, “Man” or “Anosh”, is nailed to the Christian symbol, crucified on the Cross or Ankh. 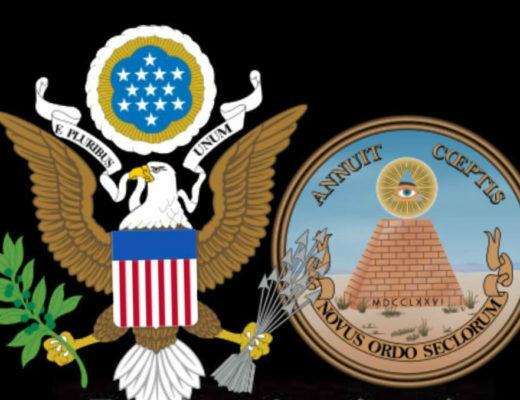 Esoterically speaking, the Sphinx has been said to behold the secret nature of Man (Humans), believed to be two-fold in nature, an “Animal Nature” and a “Human Nature”. The lower part of the Sphinx could be compared to the Material world; our animistic nature (Lower Mind), where we succumb to lower vibration desires and temptations. The upper part of the sphinx can be compared to our higher, spiritual selves; also known as the cosmic mind (Higher Mind). 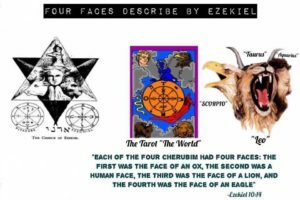 It is well known, esoterically speaking, that the Sphinx represents characteristics of the four fixed signs of the Zodiac: The Eagle (Scorpio) The Lion (Leo) Aquarius (Man) Taurus (Bull) These are the four Animals mentioned in the Book of Ezekiel. If we look at the Sumerian “Cherubim” these features are very prevalent. Interestingly, we see similarities when looking into the words “SPNK” or “SPHX” and compare them to Hebrew “TSPN” (which means Hide, Treasure, or to Concealed). Another compelling clue is in the Physiology of the word “Sphincter”, which is a circular muscle that guards and constricts the body’s natural passage. In Spanish it’s “Esfinter”, which means to bind or constrict; to conceal. It is being rumored that in the bottom of the Sphinx lay mysteriously concealed records that could greatly benefit humanity. Armageddon is a term used to describe the end time of war between Good and Evil. The word Armageddon is derived from the Hebrew word “Har Megiddo”, which means “Mountain” or “Range of Hills”. In Greek it’s rendered as “Harmagedon”. The Hebrews derived this word from the Ancient Egyptian “Har” or “Ar Em Akhet”, meaning ” “Lord of the Two Horizons”. If we break down the word Armageddon: “Ar” in Egyptian means “To rise”, “ascend”, or “mount”. “Har” or “HR” signifies the name “Horus” or “light”. “Adon” in the word “MegiDDON” is semitic in origin, from the Hebrew god “Adon”. 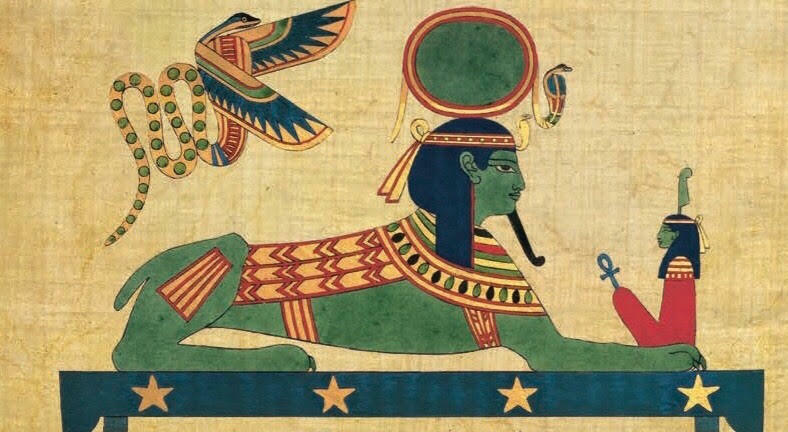 According to the Ancient Egyptian Wisdom Keeper “Hakim Abdel Awyan” the name “Har Em Akhet” was given to the Sphinx to Masculine her from her Feminine name “Tefnut”. The word “Har Em Akhet” may have a hidden meaning, considering the Sphinx is believed to be two-folded in nature, or a two-horizon in nature; half human/half animal. Perhaps the real Armageddon is the war within us all, the constant and perpetual battle we face between our Animistic nature (Lower Mind), and our Humanly divine nature (Higher Mind). Metaphorically speaking, it could be analogous to the adept ascending to his or her higher divinity. To the Greeks, the Sphinx was said to contain a riddle within. Could this mean the riddle of the Sphinx has been hiding within each of us all along?